With nothing to play for except for pride and prestige, the Super Eagles will be hoping to overcome the Taifa Stars in a 2017 Africa Cup of Nations qualifier at the Akwa Ibom International Stadium on Saturday. Both teams know that a high margin win won’t change the nature of their standing in group C considering the fact that the Pharaohs of Egypt have already booked the sole ticket as leader of the group. The last time Nigeria met Tanzania in Dar es Salam on September 2015, the scoreline ended 0-0 and this encounter will afford them an opportunity to claim a victory. 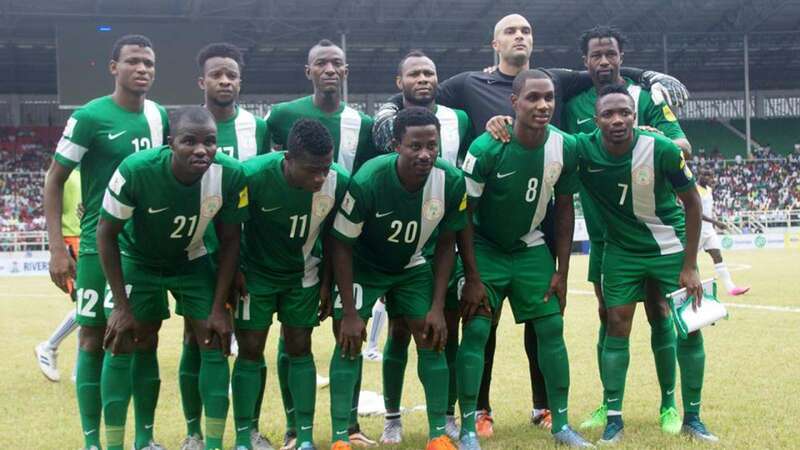 However, with the array of stars that will be on parade for the Super Eagles such as Mikel Obi, Ogenyi Onazi, Odion Ighalo, Brown Ideye, Carl Ikeme, Ahmed Musa, William Troost-Ekong,Victor Moses, Kelechi Iheanacho, and Elderson Echiejile, it is expected that the team would have it easy against Tanzania. Newly appointed Super Eagles technical adviser, Genort Rohr will be making his managerial debut for the team and knows that a win would be the perfect way to begin his managerial career. Interestingly, the Taifa Stars are still searching for their first win over the Super Eagles after five previous clashes. The first encounter between the two teams was at the 2nd All-Africa Games that Nigeria hosted in 1973, with Nigeria edging the tie 2-1. In 1980, at the 12th Africa Cup of Nations finals also hosted by Nigeria, the Green Eagles lashed the Taifa Stars 3-1 in the tournament’s opening match. In the qualifying race for the Spain ’82 FIFA World Cup finals, both teams drew 1-1 at the National Stadium in Lagos, before Nigeria won 2-0 in Dar es Salaam thanks to goals by John Chidozie and Christian Nwokocha. The Eagles walked over the Taifa Stars in a 1986 Africa Cup of Nations qualifying fixture. In the first half of this fixture, in Dar es Salaam in September last year, both teams drew 0-0. Also, the Confederation of Africa Football (CAF) have appointed Mr. Bokinda Inyangi (Democratic Republic of Congo), who is match commissioner, and Algerians Mehdi Abid Charef (referee), Abdelhak Etchiali (first assistant), Ahmed Tamen (second assistant) and Mustapha Ghorbal (reserve referee) for the encounter on Saturday.